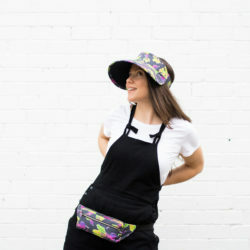 I’m trying to think ahead and get ready for the summer season by making a few items which will be perfect to wear in the summer sun. 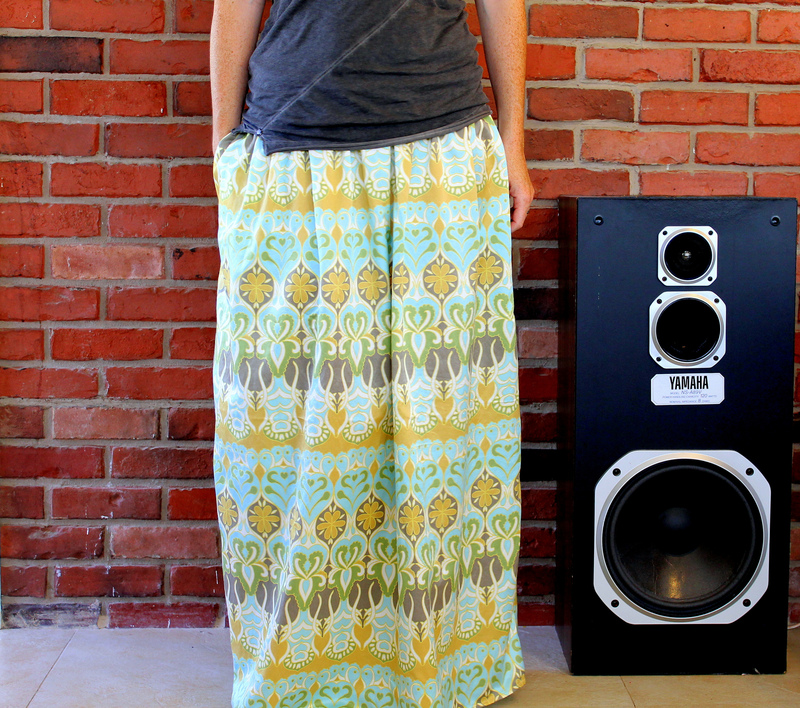 It seems like maxi skirts are still a hot trend this year and Spoonflower’s cotton silk blend is the perfect fabric to create a soft and floaty skirt with an elegant drape and a beautiful sheen. I’ve sewn with this fabric a few times before and it’s very user friendly even for the beginner sewer. With a brand new needle, it sews up just as easily as cotton. As with most sewing projects, particularly clothing, it is important to prewash and dry the fabric. 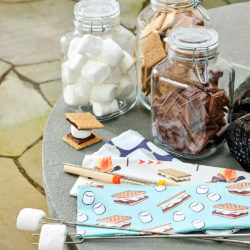 This cotton silk blend should be washed at a cool or warm temperature with a phosphate-free detergent, dried in the dryer and gently ironed on a steam setting. 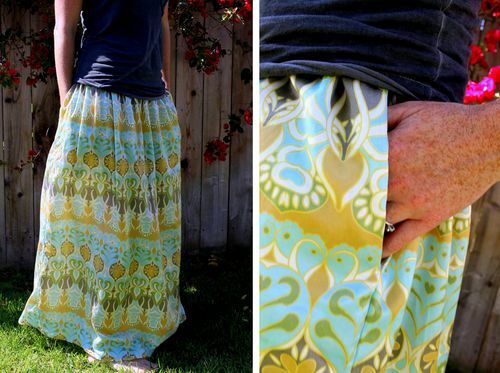 First take a length of 1 inch-wide elastic and pull it around your waist so that it fits comfortably at the point you would like your skirt to sit. 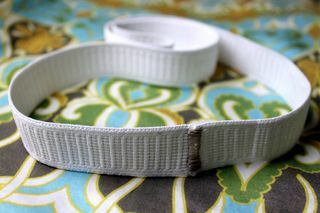 Trim the elastic to the correct length – subtracting 2 inches as the elastic tends to stretch slightly when sewn – and sew the two ends together to form a loop. To determine the width of the front and back skirt panels, hold your loop of elastic, stretch it out as far as you can and record the measurement. 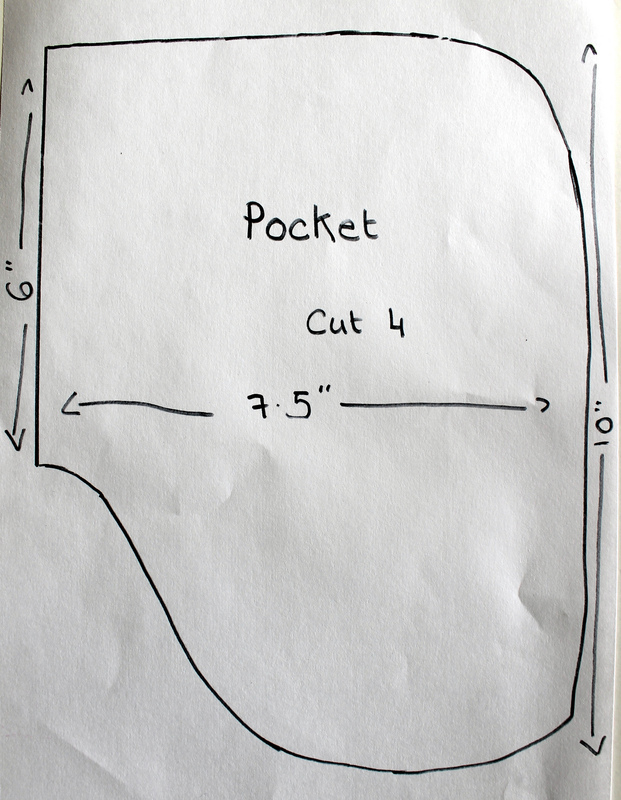 Add 1 inch to this measurement to allow for the seam allowance. This will be the width of each of your skirt panels. Next, measure how long you would like your skirt to be by measuring from your waist to the floor. 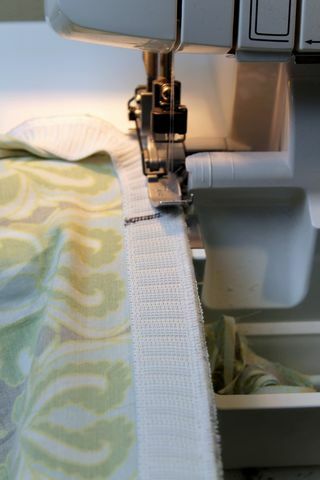 You will need to add 1 inch (or the width of your elastic, if you are using a different width elastic) for your waistband, but I always add 4 or 5 extra inches at this point, just to be safe. Cut your two skirt panels to size and give your skirt fullness by cutting an A line shape by tapering out towards the bottom corners of the fabric length. 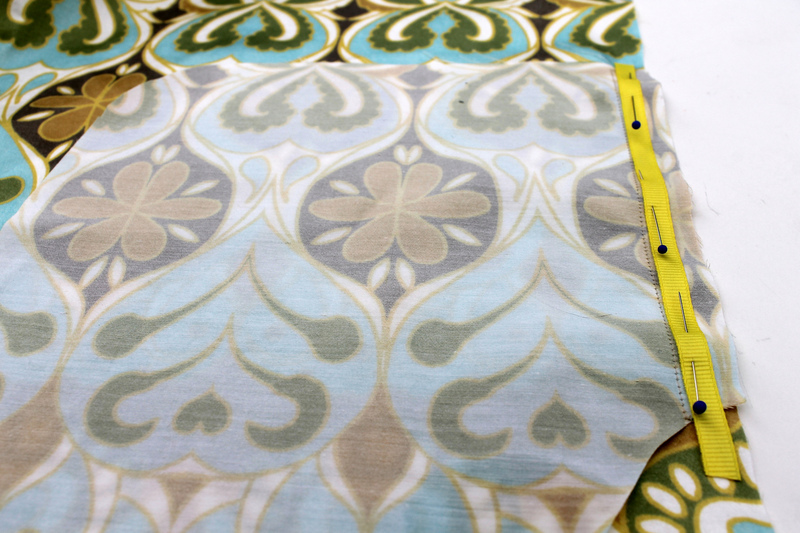 For accuracy and ease, I prefer to use a rotary cutter and cutting mat when cutting large pieces of fabric. 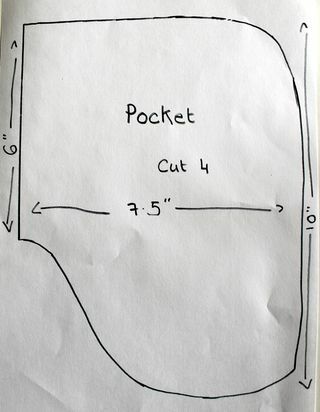 If you are planning on adding pockets like mine, you will also need to cut 4 pocket pieces. To sew the pockets, take one pocket piece and pin it to the top of the front skirt panel 4.5 inches down from the top raw edge, with right sides facing. Sew in place with a ½ inch seam allowance. Reinforce the pocket opening by sewing a length of twill tape along the seam. Position the twill tape within the seam allowance and line the edge up against the row of stitches just made. Sew through the center of the tape. Open out the pocket piece, making sure that the seam allowance is pushed underneath the pocket piece and away from the skirt panel, and stitch down. This ‘understitching’ will help prevent the seam from rolling forward. Repeat the same process for the second pocket piece on the front skirt panel and for the two pocket pieces on the back panel. Next we are going to sew the front and back skirt panels together. 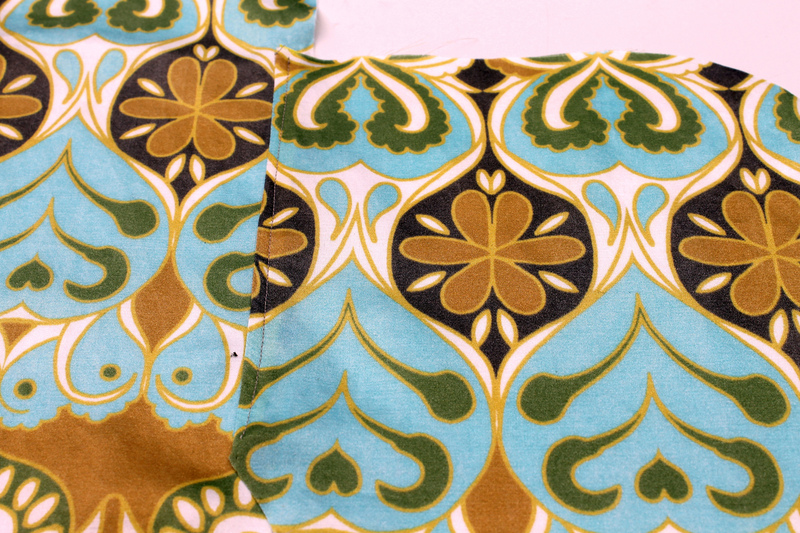 Do this by pinning them together at the side seams with right sides together and sewing with a ½ inch seam allowance. Pivot at the edge of the pocket and sew around the pocket piece, pivoting again at the skirt side seam and sew all the way down to the bottom edge of the skirt. Do not sew the pockets closed! 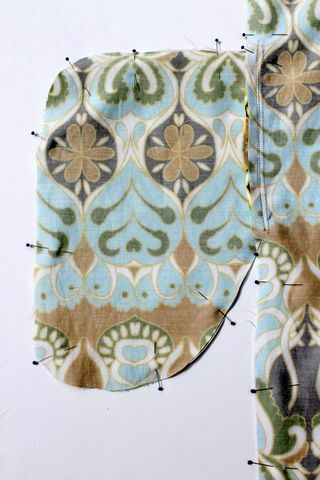 Repeat for the other side and finish the side seam allowance either with a serger or a zig zag stitch. 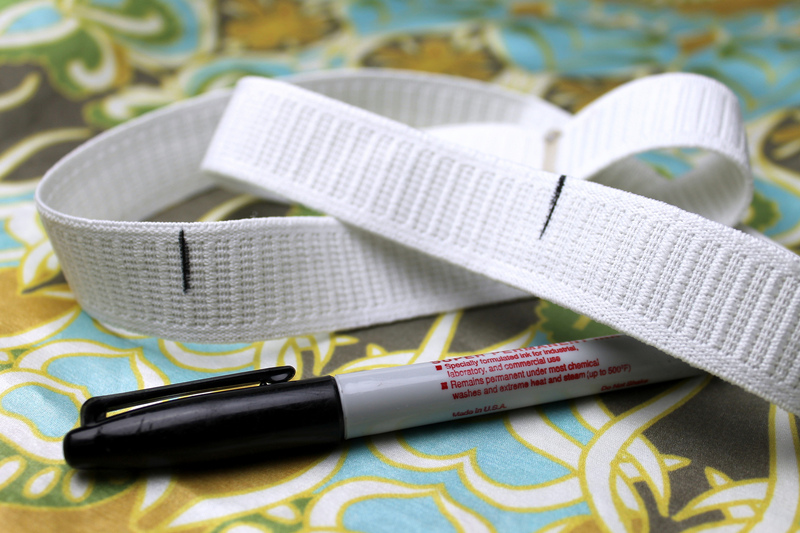 To make the waistband, take your loop of elastic and with a marker, mark the center front and back points. Fold the elastic and bring these two marks together and mark the midway points between them. You should have 4 marks around the elastic loop, dividing the loop into four equal parts. Turn your skirt inside out, and using pins instead of a marker, divide and mark it into four equal parts also. 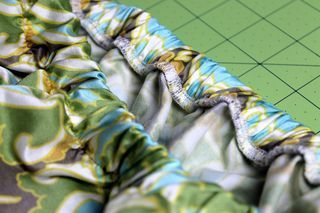 If you are not using a serger, fold over the raw edge of the fabric ¼ inch to the wrong side, match up the four markings on the waistband to the marked points on the skirt and pin these places together. If you are going to use a serger, you don’t need to fold over the top raw edge. Sew (or serge) the waistband to the fabric along the top edge by pulling the elastic taut between the pinned places so that the fabric is flat and not puckered in between the pins. 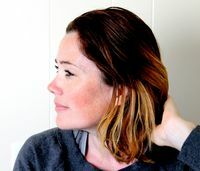 You will need both hands for this – one hand pulling the fabric out of the back of the machine and the other hand pulling the elastic taut in the front as it feeds through. When you have sewn all the way around, remove the skirt from the machine. Turn the elastic to the inside of the skirt and again, pin down with the four pins. Return to the sewing machine (not the serger, if you used one in the last step) and sew the elastic down on the bottom edge, through all the layers, again pulling the fabric and elastic taught between the pins. Thoroughly steam press your waistband with a hot iron and the waistband elastic will shrink back to size. 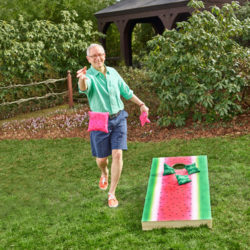 Finish your skirt by measuring where you want the hem to fall (it helps to have someone measure this for you, while you wear the skirt) and sew a hem by turning the bottom edge ¼ inch to the wrong side, pressing, turning again ¼ inch and sewing down. Do you know about how much fabric you used? 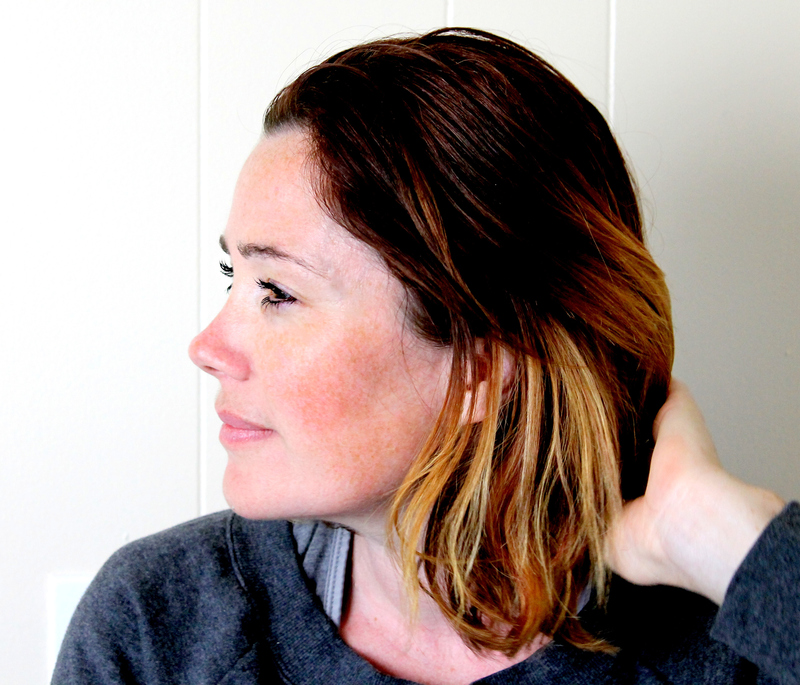 Hi, Kathleen! 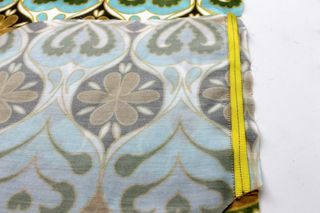 Emma used around 2-3 yards of our cotton silk fabric which is 40″ wide. 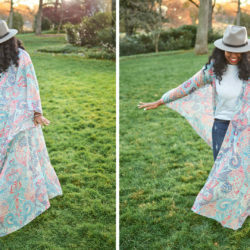 You’ll likely only need about 2 yards if you have a wider fabric. I love the pattern! and fabric! 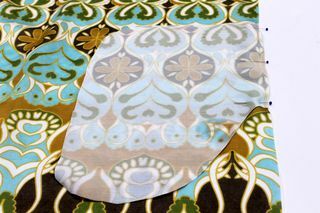 Looking at the spoonflower site, however, I don’t see a fabric labeled as “cotton silk”. Is it no longer available or listed under another name now? I made it from a normal cotton, after washing, and it is okay, but I am imagining cotton silk would be luscious. Thanks for the great skirt! We’re so glad you enjoyed this skirt tutorial. 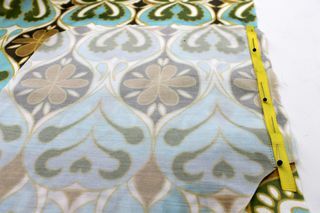 The Cotton Silk has been retired but the Organic Cotton Sateen is a great alternative for this project.